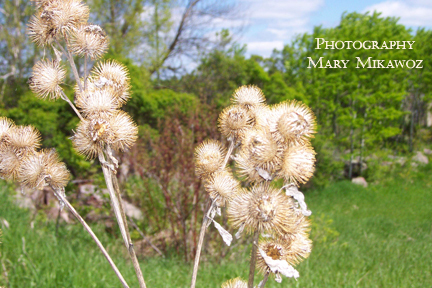 I was inspired to write this poem because of the inspiration that George D. Mestral received in developing Velcro from the concept of thistles in how they work and how they cling to you by observing how burdock and bur seeds attached themselves to his dog’s furs and to his clothing. He examined them under a microscope discovering all the little hooks and then put it into action. This Swiss electrical engineer thought of the idea in 1941 and invented the idea of Vclcro in 1948. Did you also know that Velcro fasteners made of Teflon loops, polyester hooks, and glass backing are used in Space Stations in outer space? From a personal point of view, my family went to Poland when I was 6 years old. That summer we visited a relative’s farm. I remember running through some normal fields and then realizing that I had beautiful little flowers stuck all over and on my skirt when my sister pointed them out to me. I thought they were pretty until I tried to take them off and they stuck firmly to my clothing and pierced my fingers. Then I thought they were nasty but now I just see them for the beauty that they are in this photograph that I took. Back in 2009, we visited Puerto Vallarta, Mexico. We visited the Church of Our Lady of Guadalupe. I took a few photos outside and a number inside. 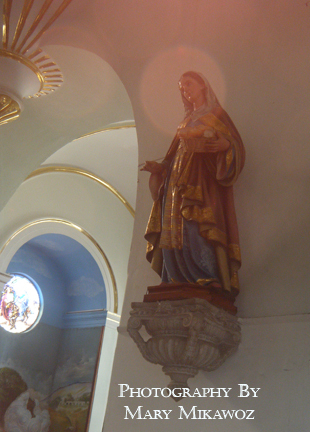 I took a photo of the statue of Mary and then as I was leaving the church, I wanted to see what the pictures looked like and found that there was a Corona of Light around the head of the Madonna. I was amazed. I went back in to take more photos but could not create the same effect. This corona was NOT photoshopped in at all. 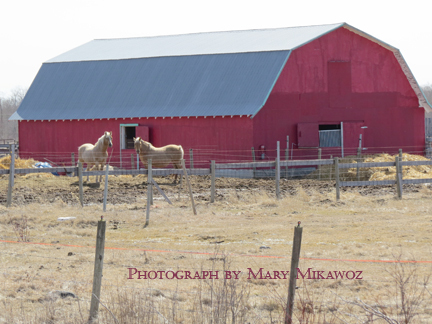 It is as I was able to capture with my digital camera at that special moment in time. Because Canada is a younger country, weather records show that this is the latest spring on record in Winnipeg’s history in 141 years. 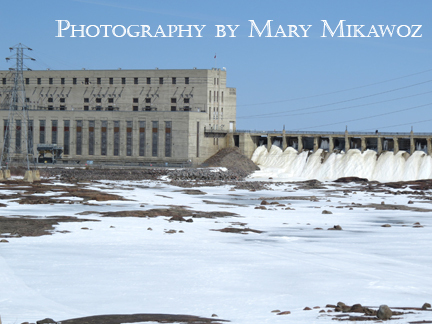 As such, this picture is interesting because it is a month after Spring has officially started and yet the Seven Sisters Damn on the Winnipeg River is still very solidly frozen with ice and snow. Seven Sisters was originally known as Seven Portages. Further upstream on the Whitemouth Falls, the water is starting to open. 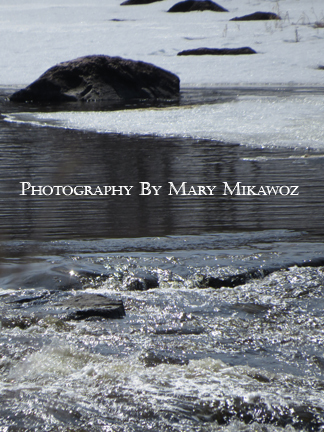 The River system flows north to Lake Winnipeg which is the 10th largest fresh-water lake in the world. There are 10 major watershed draining areas that contribute to this lake from Alberta on the west, to Ontario on the East and North Dakota on the south. It flows northward to the Hudson Bay and the Arctic Ocean. This generation station is responsible for many hydro lines directly into Winnipeg to provide electrical power and service to this community.